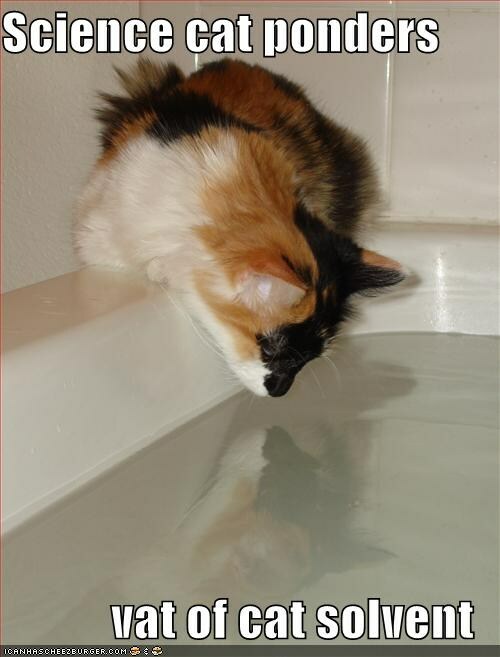 We know that alcohol is a solution, but is warm water really a kitty solvent? We might need to consult Chemistry Cat again. This entry was posted in Science Caturday and tagged chemical solution, chemical solvent, chemistry cat, science cat, science lolcat, water solvent. Bookmark the permalink.